Anteaters have always been one of my favourite animals, with their fantastically unique shape and super fluffy tail! 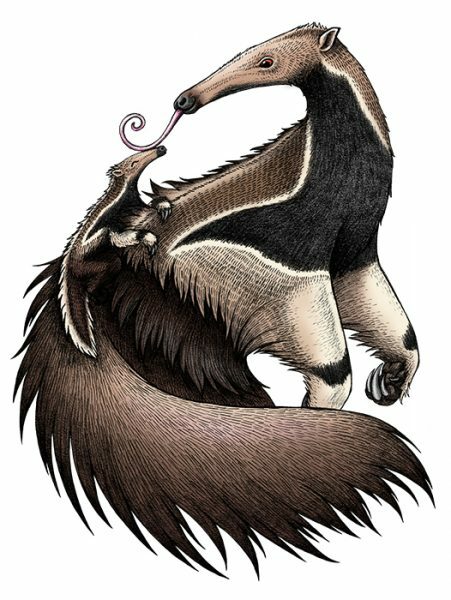 Mother anteaters carry their little young on their backs until they are weaned. Their black stripes align, cleverly camouflaging the pup against it’s mother.